Pakistan didn’t have a very good run in this format of game since their heroics in Champions trophy. They have lost 17 of their 21 games against a stronger opponent. The way they were forced out of the Asia Cup still makes us doubt the team’s capabilities as a ODI side. Though they have done exceptionally well in the T20s, it looks like ODIs and T20s are poles apart for them. They have not been able to keep their consistency in the middle over leading to losses. They will have to figure out something fast as they only have 13 games left before World cup. New Zealand, on the other hand, is still trying to get into the gaming zone after such a long break. They would be very disappointed with the way they performed in the T20s and will want to amend that in this three-match series. Let’s take a look at the probable playing 11 for this game. The venue has been a blessing for the bowlers. Even though there is dew at night; it has been tough for the teams to chase. This was clear in the Asia cup and it looks like it will continue in this series as well. A lot of options also complicates things for a team. This is what is happening with Pakistan right now. They have got a lot of batting and bowling options which might complicate things for Pakistan. From Babar Azam to Shoaib Malik and from Junaid Khan to Hasan Ali, they have a lot of players both experienced and young who are in a good form and ready to be a part of the team. The main issue the team will face will be to convert their streak of brilliance from T20s to ODIs. They have not been able to do well in the middle over in the ODIs resulting into a lot of failures. They will want to work on the same as there are just a few more matches till the world cup. Like almost every other team in the world cricket, New Zealand is also facing the middle order instability. They have not been able to convert the start they have been provided by their openers. 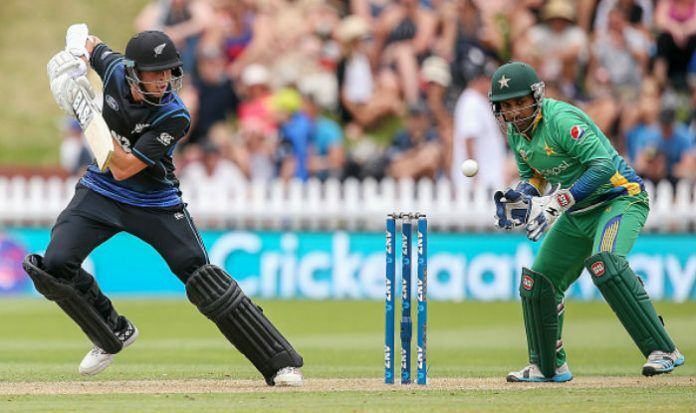 Munro and Guptill have been a constant in the team’s performance. They will have to do a little bit more for the sake of the team. Taylor, Grandhome and Nicholls will have to play a crucial role down the order. Ajaz patel has been added to the ODIs as well and he will have to prove his worth along with Sodhi in the this format of the game. Anderson’s injury will definitely hurt the team where it matters.